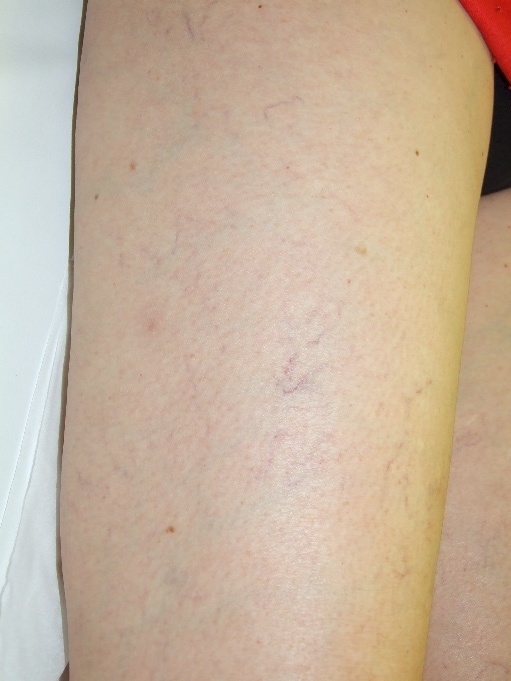 Thread veins are tiny superficial veins that have become dilated and go by a variety of names including Telangiectasia or spider veins to describe a network of very fine veins. The slightly larger superficial veins tend to be called thread veins . As we get older changes occur in the skin, which becomes thinner and more fragile, therefore the blood vessels near the skin surface become much more obvious. Weathering of the facial skin is also a contributing factor. Varicose veins are deeper and significantly more substantial, most commonly seen in the legs and result from faulty valves in the leg veins, which allows the blood to flow back down the leg veins. These tend to appear as raised snake like shapes that are dark blue or purple in colour, depending upon their size and depth. What causes thread veins and varicose veins? In most cases, there is a family history so the cause is likely to be genetic although there are other factors including exposure to wind or extreme temperatures, cortico-steroid medicines and radiotherapy. Women in particular find the appearance of thread veins quite distressing but can be reassured that though unsightly, they are unlikely to cause medical problems. They can be treated and their appearance significantly improved. 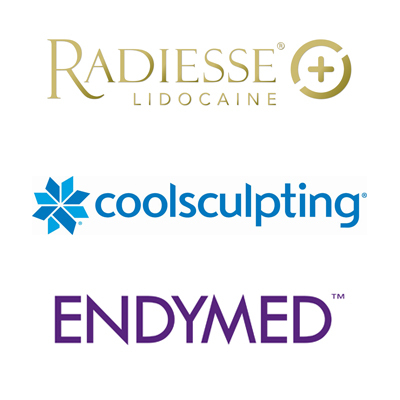 A key factor in thread vein treatment is that thread veins tend to become more common and apparent with age. Around one in five women in their 20s have thread veins. 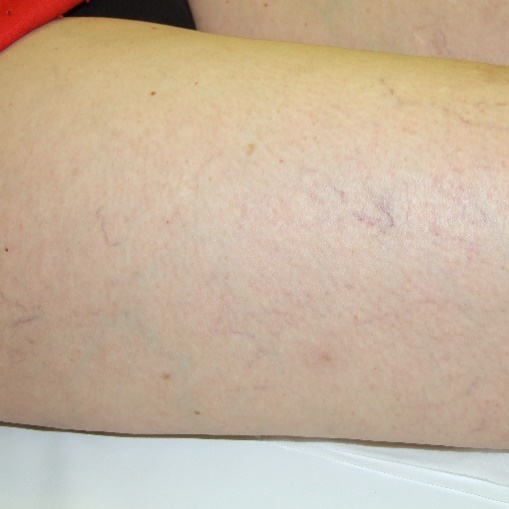 This rises to around 50% at age forty and by the age of 70 over 70% of women have some thread veins. 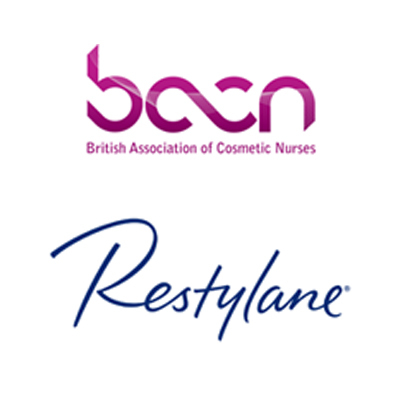 Early treatment of small thread veins is certainly easier and cheaper than the treatment of larger older thread veins that have been allowed to develop. Although usually just a cosmetic problem thread veins on the legs can cause symptoms like burning pain and itching. Varicose Veins often result from the additional pressure exerted on the legs during pregnancy. As stated above, it is far easier and less invasive to treat thread and varicose veins early. When the visible thread veins are very narrow under 0.1mm they can be readily treated using either IPL or Long Pulse NdYag Laser. As the veins become larger 0.1 to 0.5mm and deeper IPL is less relevant and we would recommend the Long Pulse NdYag Laser or Sclerotherapy. For larger veins between 0.5mm and 1.0mm we recommend the use of Sclerotherapy. For larger thread veins or varicose veins where we feel uncertain about being able to provide a satisfactory result, we would refer you to a plastic surgeon for surgery. This is a non-laser light treatment suitable for a range of conditions. It is very useful in the early stages when the tread veins are small and has the advantage that the treatment head is large 50mm x 15mm enabling the treatment to be quick. The recent advances in IPL technology including head cooling and multiple pulses have greatly improved the comfort of this type of treatment. This infra-red laser can reach deeper into the skin and with different tips can be used for treating a fine network of veins using a 6mm diameter cooled sapphire tip or to trace along a single larger vein using a 2.5 x 5mm cooled sapphire tip. The tip cooling again aids patient comfort. The deoxygenated blood in the veins absorbs the infrared light more strongly than the surrounding tissue causing the vein to contract, which slows the blood flow enabling the vein to then be cauterised. This is an automatic process and is a function of the long laser pulse. You will also be advised on cosmetic camouflage to improve the appearance for particular outfits or events and the use of compression hosiery for the management of symptoms such as aching, swelling and itchiness. Exercise regularly to improve your leg strength, circulation, and vein strength. Weight control to avoid placing too much pressure on your legs.